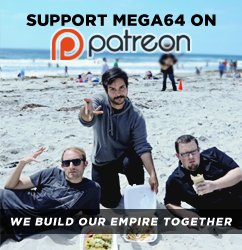 IS PODCAST 357 THE END OF MEGA64? ...Probably not, but you can see things get pretty tense in this all new podcast. We cover Arkham Knight, rats in the mail, and address the Grapevine Incident. Check it out!!! Click here for the audio version! That's all for now, COME SEE US AT ANIME EXPO THIS WEEKEND!!!! !